Manchester United officially announced the signing of Fred from Shakhtar Donetsk on Thursday. The central midfielder is believed to have joined for a fee of £47 million from the Ukrainian champions. Fred is currently in Russia with the Brazil national team at the 2018 World Cup, with his country taking on Costa Rica in their second group game today. Following the announced of our latest signing, the 25-year-old said a few words to the fans. Among those, Fred believes he has joined the biggest club in the world. “I cannot wait to get started and to meet my new team-mates. I would like to thank everyone at Shakhtar Donetsk for everything they have done for me over the past five years. He is the first of what is expected to be two new central midfielders to join us this summer following the retirement of Michael Carrick and impending departure of Marouane Fellaini. 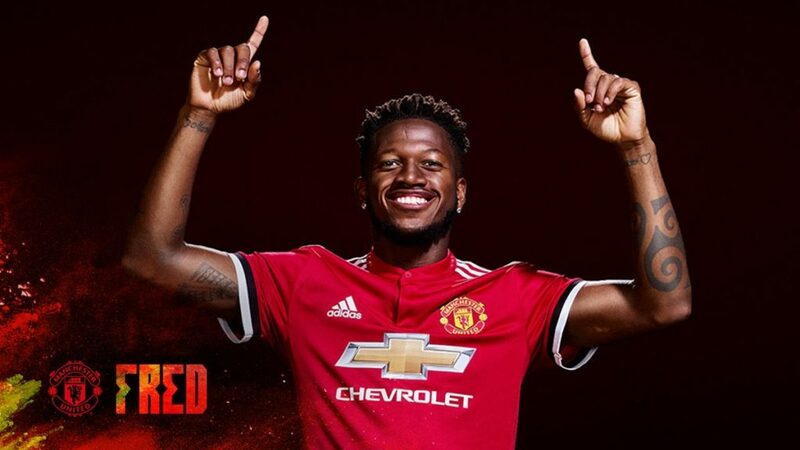 Fred has signed a five-year deal at Old Trafford and is expected to partner Nemanja Matic and Paul Pogba in Jose Mourinho’s 4-3-3 formation.